On 04/16/2015 at about 6:00 PM, Deputy Tim Peterson was flagged down by a motorist who reported a wrong-way driver on Missouri Flat Road. The vehicle was described as a white SUV with a female driver who almost caused an accident. In the area of Missouri Flat Road and Golden Center Drive, Deputy Peterson found a white SUV stopped half over the sidewalk and half in the bushes near the front of the Auto Zone. It looked like a traffic accident with other motorists stopping to help. The driver was still inside the vehicle. As Deputy Peterson stopped to help, the driver of the SUV backed out of the bushes onto Missouri Flat Road nearly hitting a pedestrian. The SUV drove off north bound on Missouri Flat Road almost colliding with other cars. Deputy Peterson gave chase activating his overhead lights and siren. The SUV continued on Missouri Flat Road towards Highway 50 at a slow pace. The driver didn’t pull over or respond to the flashing emergency lights or siren. At the red signal light for the westbound Highway 50 onramp, the SUV stopped behind other cars. Deputy Peterson stopped behind the SUV and contacted the female driver through the open driver’s window. The driver, later identified as 23 year-old Lauren Esposito of Somerset, was detained. The Sheriff’s Office conducted a DUI investigation while CHP Officers investigated the traffic accident where she left the roadway near the Auto Zone. During the DUI investigation, Esposito became verbally abusive screaming racist taunts and tried to get away. 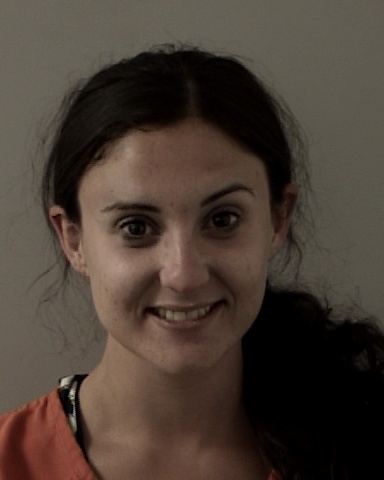 At 6:45 PM, Esposito was arrested for suspicion of DUI and resisting, obstructing, and delaying a peace officer and booked into the El Dorado County Jail. She was later released on bond.